Today in the international journal Science, the International Wheat Genome Sequencing Consortium (IWGSC) published a detailed description of the genome of bread wheat, the world's most widely cultivated crop. This work will pave the way for the production of wheat varieties better adapted to climate challenges, with higher yields, enhanced nutritional quality and improved sustainability. The research article—authored by more than 200 scientists from 73 research institutions in 20 countries—presents the reference genome of the bread wheat variety Chinese Spring. The DNA sequence ordered along the 21 wheat chromosomes is the highest quality genome sequence produced to date for wheat. It is the result of 13 years of collaborative international research. With the reference genome sequence now completed, breeders have at their disposal new tools to address these challenges. 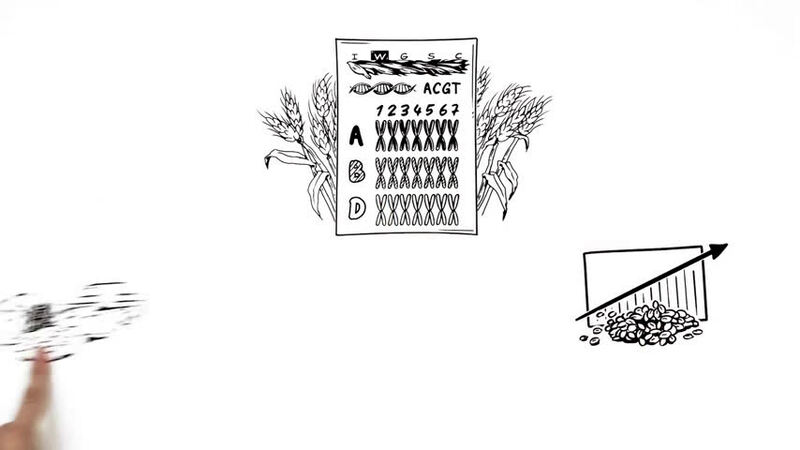 They will be able to identify more rapidly genes and regulatory elements underlying complex agronomic traits such as yield, grain quality, resistance to fungal diseases, and tolerance to abiotic stress—and produce hardier wheat varieties. 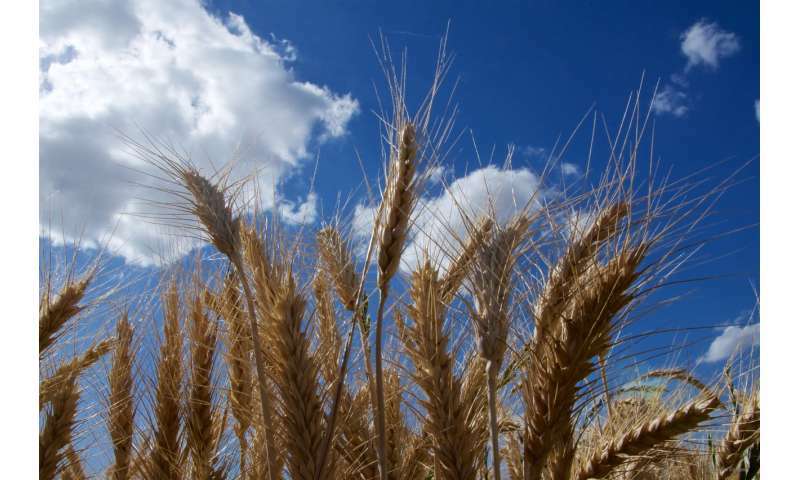 "The wheat genome sequence lets us look inside the wheat engine," said Rudi Appels, University of Melbourne Professor and Murdoch University Professor, and AgriBio Research Fellow. "What we see is beautifully put-together to allow for variation and adaptation to different environments through selection, as well as sufficient stability to maintain basic structures for survival under various climatic conditions." "How do you thank a team of scientists who persevered and succeeded in sequencing the wheat genome and changed wheat breeding forever?" said Stephen Baenziger, University of Nebraska-Lincoln Professor and Nebraska Wheat Growers Presidential Chair. "Perhaps it is not with the words of a scientist, but with the smiles of well-nourished children and their families whose lives have been changed for the better." Sequencing the bread wheat genome was long considered an impossible task, due to its enormous size—five times larger than the human genome—and complexity—bread wheat has three sub-genomes and more than 85 percent of the genome is composed of repeated elements. "The publication of the wheat reference genome is the culmination of the work of many individuals who came together under the banner of the IWGSC to do what was considered impossible," explained Kellye Eversole, Executive Director of the IWGSC. "The method of producing the reference sequence and the principles and policies of the consortium provide a model for sequencing large, complex plant genomes and reaffirms the importance of international collaborations for advancing food security." I have literally been trying to crack the wheat riddle for 7 years, and you guys tell me know that you have solved the wheat puzzle without hints from the speaking kookaburra?? i knew that fucker was misleading me. grrr.